There's a fair amount of mystery surrounding Noma 2.0, the second iteration of René Redzepi’s two-Michelin-starred restaurant in Copenhagen. 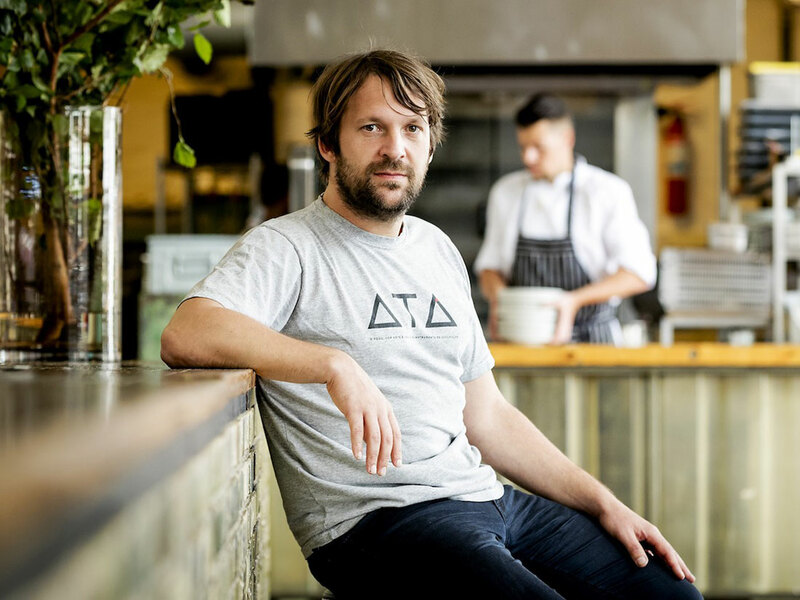 Why did Redzepi shut down his uber-successful restaurant in the first place, last February? At the time, Noma had held the first spot on The World’s 50 Best list for four years running. There were whole message board threads dedicated to how to get a reservation—the old system opened up once a month, for reservations for the following month. Since it was profiled in Netflix’s docu-series Chef’s Table, the restaurant had been catapulted into something of a legend. The idea of Noma threatened to eclipse its presence. And that is why, perhaps, Redzepi decided it was time for a change. Now, reservations for Noma (also called Noma 2.0, or New Noma) sold out in less than twenty four hours. (Although apparently, two lucky people will win tickets to dine and an all-expenses trip to Copenhagen—entries, unfortunately, are closed.) A picture of the new exterior, below. To be clear, the new Noma is very much the same concept from Redzepi, simply housed in a new space. However, it appears that re-branding it in this way will allow the chef for more conceptual freedom, the kind that made him famous in the first place. Here’s a picture of what the inside will look like. Just a mile down the street from its previous location, the second iteration will have more room for an urban farm, which seems like it might be the most important sticking point. “Here we are in a region where the seasons change dramatically. The weather shifts completely from barren cold to warm abundance, yet our restaurant and the menu format stayed the same,” Redzepi told GQ last month. The new restaurant, padded with produce grown in-house, will better enable Noma’s team to take advantage of Denmark’s three distinct food seasons. Winter will lend itself to a fish-centric menu, when most fish are at their prime. “The cutlery, the plate-ware—every element will reflect the aesthetics of that cold ocean,” Redzepi says. Here’s one such dish at New Noma that a lucky diner got to experience. The new space also looks like it’ll have customer-facing tanks—constructed by local artisans, such as this one by Copenhagen-based cabinet maker Malte Gormsen—for seafood. In addition to new menus—which presumably will change more often—Noma will probably feel like a different restaurant. The J.L. Møller chairs, hand-carved wooden cutlery and ceramics were all auction off last November, clearing the way for an entirely new (but likely similar) aesthetic. The team—with many of the same staff apparently, as Eater reports—is preparing for its official opening today, February 15.